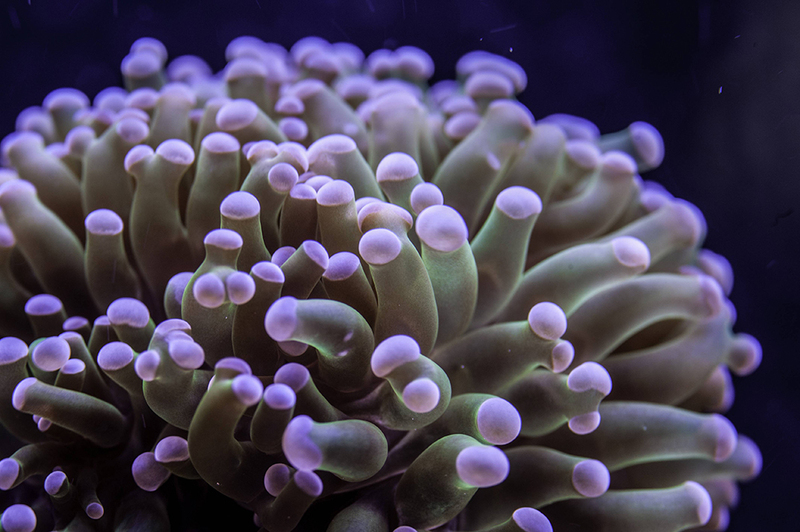 One of the popular Euphyllia corals, along with Hammer and Torch, the Frogspawn Coral is an aptly named a large polyp stony coral (LPS), as its polyps resemble a mass of fish eggs or frog eggs. There are many different color variations, with brighter rarer ones fetching hansom sums. Beginners often think this coral is an anemone because of its beautiful long polyps. 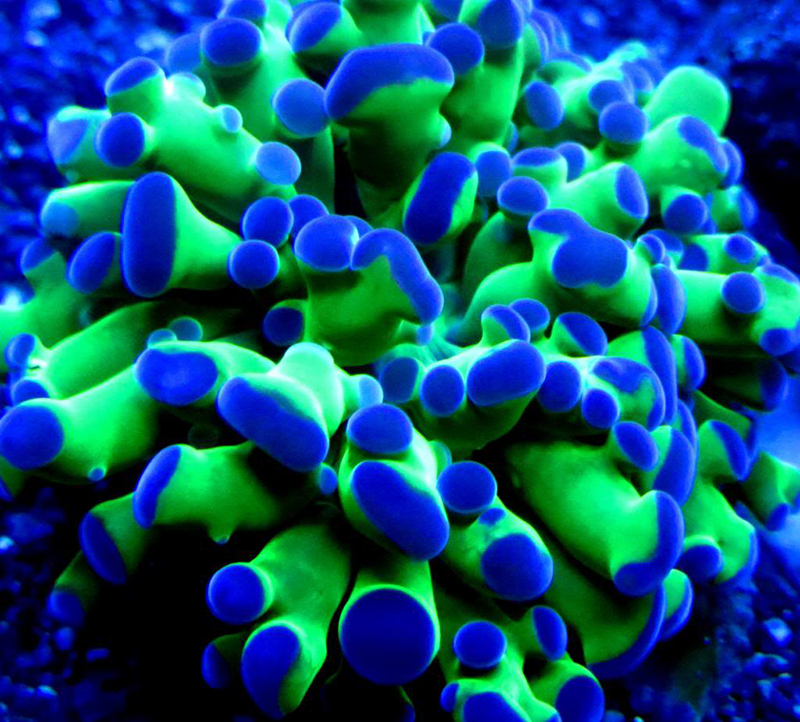 Its popularity is partly due to its fluoresce under blue light. It can extend stinging sweeper tentacles up to six inches so give this coral plenty of space for growth. Frogspawn needs medium to heavy light and medium flow, so it is often placed higher on rockwork. Most of its nutritional requirements come from photosynthesis of a symbiotic algae zooxanthellae hosted within its body. It will also benefit from additional food in the form of micro-plankton, brine or mysid shrimp.